1. 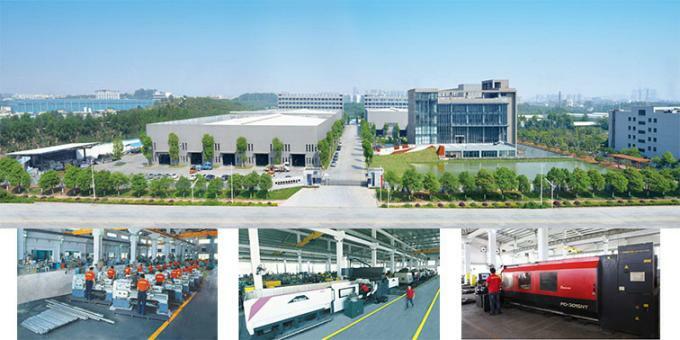 The machine is used to produce various PC tube, PC profile, transparent LED lampshade, single color or double color led lampshade etc. Also it can work with PMMA material. 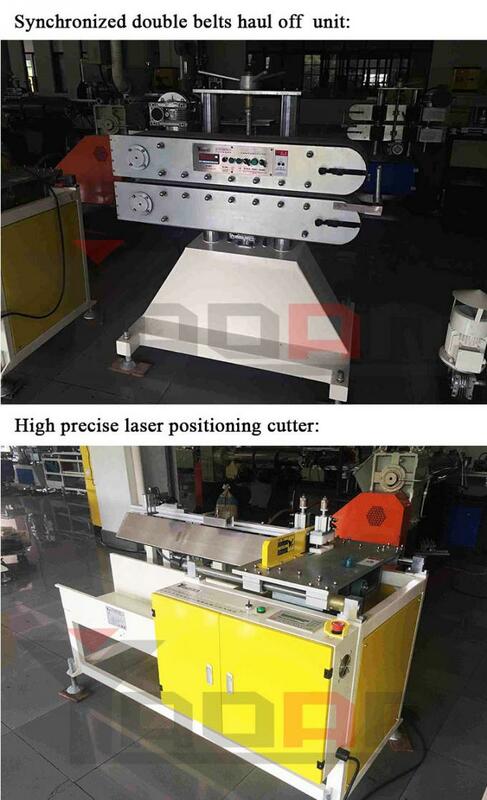 (2) Special screw for PC material, perfect plasticizing, to ensure the finished products without crystallized dot, without pulling mark, without vibration mark, with high light transmittance, and high transparency. Screw made of imported special alloy steel, material never attach on the screw, no black dot during production and no need to clean screw. 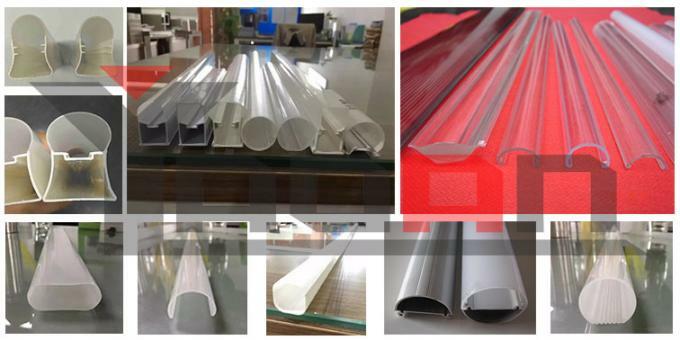 Separated type screw is adopted as it is especially suitable for PC transparent material, milky material and diffusion material for production, so as to lower down raw materials cost largely. 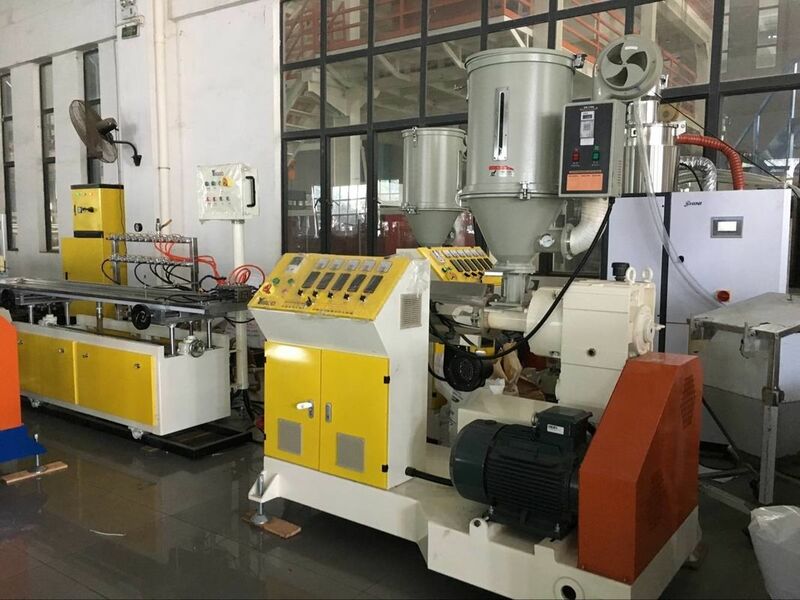 (3) Heating control zone: 7 zone (barrel 4 zone, extruding die 3 zone); According to different extruders. Special S136H mirror surface steel for dies, the surface of the extruding dies is mirror polished. the whole machine is compact and strong without vibration. Vacuum is stable and silent. Easy to set value and operate.